Zeus heat shrink offers a suitable technique for the application of a tight and protective jacketing to items that will have to endure extremes of heat, shock, moisture, corrosion, and other severe environmental conditions. 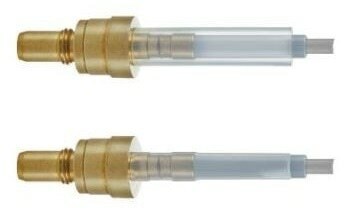 Heat shrinkable tubing lengthens the life of the protected parts and helps to keep up their performance. 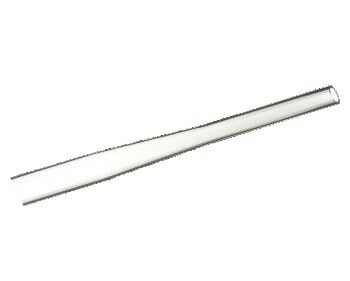 Zeus heat shrinks have a high presence in the medical, electrical, chemical, optical, aerospace, and automotive fields. Fluorinated ethylene propylene (FEP) heat shrink tubing is preferred mainly for its lower shrink temperature compared to other heat shrinks such as PTFE. FEP has optical clarity, better flexibility, and high lubricity than PFA. FEP heat shrink is usually selected for its lower cost and for applications where large heat shrink ratios are not necessary. 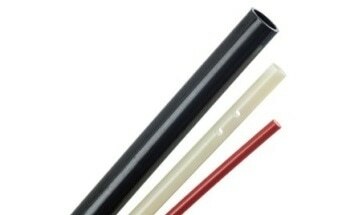 Zeus heat shrink tubing is offered in its expanded state. With a short application of heat, the heat shrink tubing molds itself tightly around the most intricate and uneven shapes to form a fully sealed covering. Zeus 2:1 FEP heat shrink delivers the greatest shrinkable capacity of any of Zeus FEP heat shrink products. Heat sources and methods of heating are optional. Heat shrink ratio denotes the final diameter of the heat shrinkable material after being permitted to shrink totally unrestricted compared to the pre-shrunk material’s initial diameter. After heat shrinking is done, the material is said to be in its “recovered” or “recovery” state. Therefore, final dimensions for heat shrink typically refer to recovered or completely shrunk dimensions. As an illustration, for a heat shrinkable material having a 2:1 heat shrink ratio, the final diameter of the completely shrunk material will be decreased to ½ of the pre-shrunk diameter. In other words, the pre-shrunk material’s original diameter will be 2× the diameter of the completely shrunk (recovered) material; the ratio of their diameters, pre-shrunk:recovered, will be 2:1. Keep in mind that heat shrink is normally applied over a material or part to encapsulate it; therefore, in real-world application, it is restrained from being shrunk fully. Heat shrink ratio is an important consideration for all applications based on the degree of non-uniformity of the components or items to be covered. More unevenly shaped components will require larger heat shrink ratios of the covering material to accomplish more complete or detailed encapsulation. On the contrary, more even components such as wires or cylinders would require smaller heat shrink ratios for full coverage. Consideration must also be paid to tapered components: While seeming to be more or less uniform in shape, the degree of taper should be taken into consideration when choosing heat shrink and its shrink ratio. Zeus FEP heat shrink tubing is provided with 1.3:1; 1.6:1; and 2:1 shrink ratios and can be chosen based on American Wire Gauge (AWG) or fractional sizes. 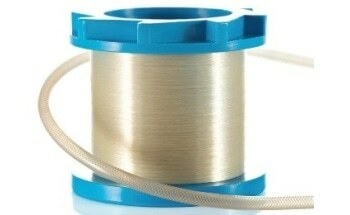 This heat shrinkable material has all of the same high standards and features of FEP. Zeus can also deliver tailored micro-miniature dimensions and other customized specifications and tolerances upon request. Encapsulation – For standard protection and covering of critical parts, FEP heat shrink may be the ideal choice for a user’s application concerning heat shrink temperatures, cost, and other features which are comparable to more costly items. FEP 2:1 heat shrink offers the largest shrinkage capacity of Zeus FEP heat shrinks delivering coverage of the largest range of component shapes. FEP heat shrink is regularly used to cover items such as medical instruments, roll covers, hoses, temperature probes, wires and cables, lighting, to list but a few. FEP heat shrink’s transparency enables covered parts to remain observable while in use as well as stay protected from heat, moisture, chemicals, and temperatures. Insulation – FEP’s superior dielectric properties make it an ideal choice for encapsulating and insulating electrical parts including batteries (alkaline and lithium) and solenoids. FEP heat shrink’s heat tolerance enables it to continue to work at temperatures usually encountered in these surroundings and more. 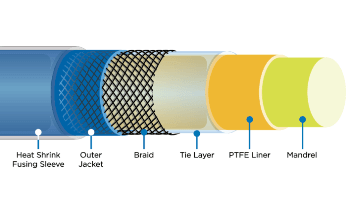 Wire Harness – FEP heat shrink’s outstanding dielectric properties make it an ideal choice for covering cables and wires and can even support splicing. 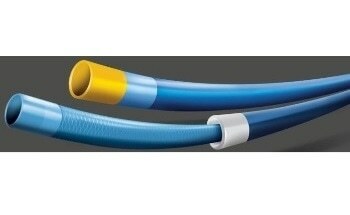 Once covered, FEP heat shrink also works as insulation enabling it to be employed even where bare wire is concerned.